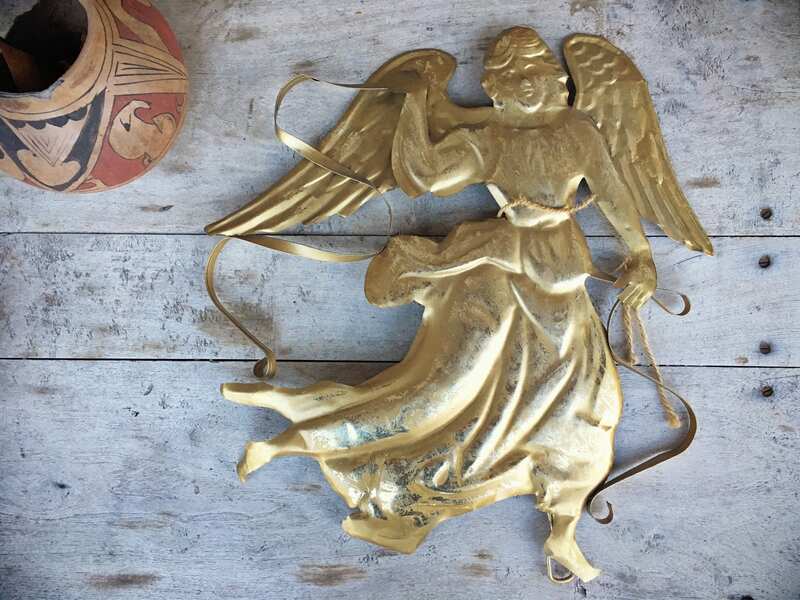 This large angel is made of a metal sheet, and what I love most about it is that it reminds me of Mexican tin ornaments, but oversized. The metal is cut and shaped in a primitive, rustic fashion. 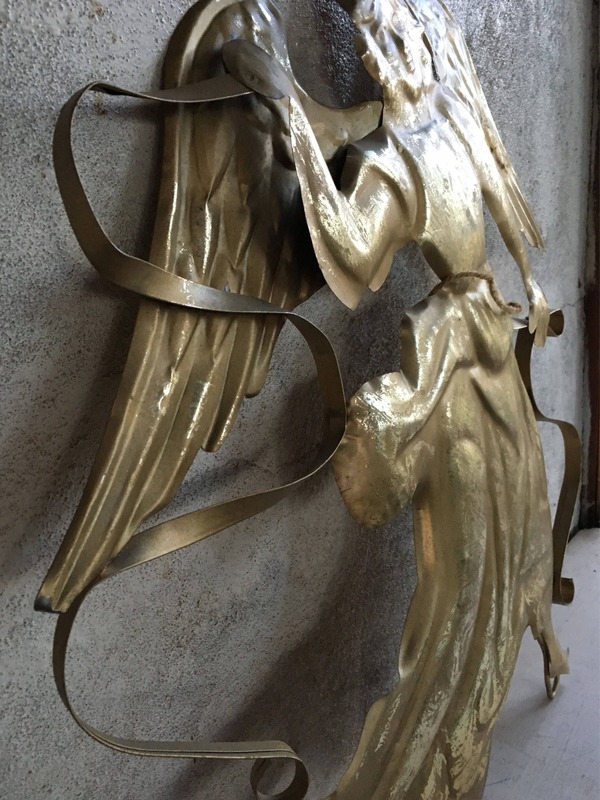 I can see it adorning an adobe wall or weathered wooden gate. The paint may be gold gilt underneath, with gold over it, as the effect of the top layer of gold rubbed off is a more shiny gold below. Adds to the rustic charm. Hanger on the back. Measures about 20" across by just over 21" long and about 1/2" thick, although since it's bent and wavy it may extend out more at sections. In rustic vintage condition. 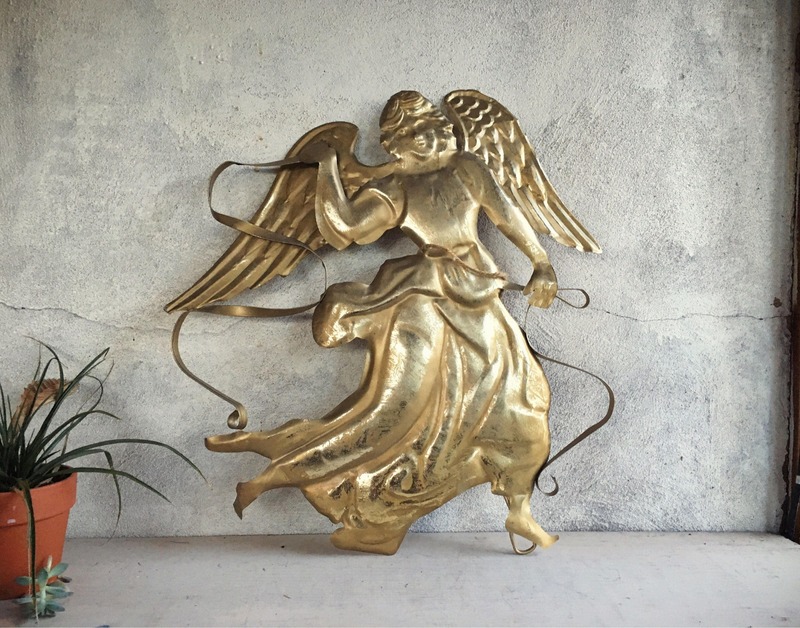 Because one can never have too many angels in life. Absolutely gorgeous! I love this angel!! !